1 _______? 2 _______? 3 _______? 4 _______? 5 _______? 6 _______? 7 _______? 8 _______? 9 Mr Toomy 10 ______? 11 ______? 12 ______? 13 ______? 14 ______? 15 ______? 1 Alexander Norman 2 Leo Stewart 3 _______? 4 _______? 9 _______? 10 ______? 11 ______? 12 ______? As a youngster, I made many trips with my parents to Laindon. My aunt Babs lived in Victoria Road, opposite the old police station. My grandfather lived in Sailsbury Avenue. To get to his bungalow, we had to park next to the railway line, cross the tracks and walk along the unmade road. My grandmother lived in New Avenue, of Berry Lane. She was a nurse at Billericay hospital, and was killed in November 1943 when her bungalow was bombed. 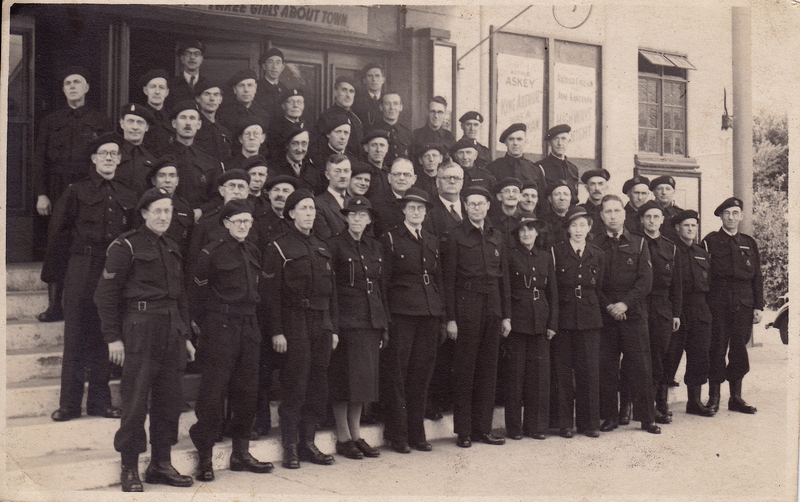 This is my mother’s father outside the Radion, with his Civil Defence unit. 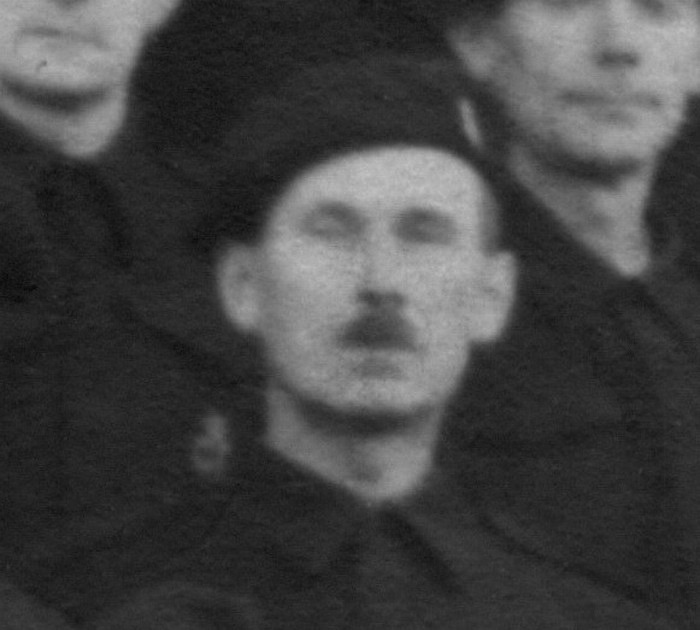 His name was Leo Stewart, and is 2nd from left, third row down. I forgot to add that my Grandmother, Jane Stewart, was buried at St Nicholas Church. Laindon. I believe my Grandmother on my father’s side is also buried there. Her name was Rosetta Radley. Jane Elizabeth Dorothy Stewart. aged 50. She was a nurse at Billericay Hospital I believe. She is casualty 3106771 on the CWG Database. 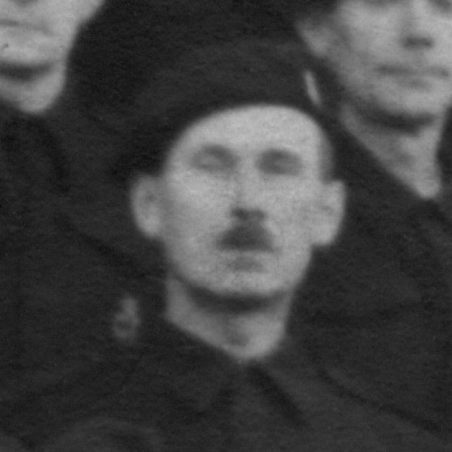 We are researching civilian deaths, can you confirm the name of your grandmother who was killed in Berry Lane on the 8th November 1943 (Jane E Stewart) and where was she buried. Looking at the film advertised above the groups heads, I beleive it’s called ‘Three Girls About Town’, which was released in October 1941. This could give some idea of when photo was taken. 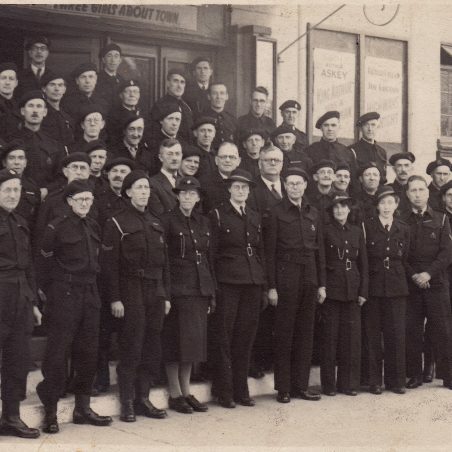 What an absolutetly wonderful photo, Alan my grandad was in the civil defence, do you know when this photo was taken? How sad about your grandmother, there is a few articles on this site about bombs in the war in Laindon, did your grandmother die in New Avenue?